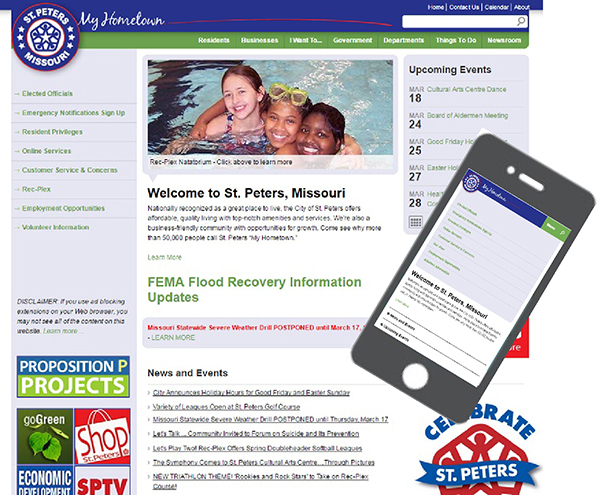 The client, City of St. Peters, MO, contacted Unidev with the need for a responsive website design so citizens could use the site more easily. Unidev created a new responsive website design for the City of St. Peters using the Auctori CMS. The new mobile friendly site allows citizens to find information using their mobile devices. The CMS allows St. Peters authorized employees to update the website any time or any place when needed. Following the launch of the new responsive website design, organic traffic from mobile devices improved 9% and organic traffic from all visitors to the site improved by 5%. Along with an improvement in organic traffic and session growth, other aspects of website analytics reflected improvement as well. Total sessions on all devices improved, and total sessions from mobile visitors improved.